Foster William Hewitt, OC (November 21, 1902 – April 21, 1985) was a Canadian radio broadcaster most famous for his play-by-play calls for Hockey Night in Canada. 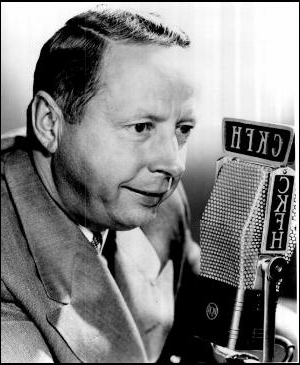 The voice of Foster Hewitt was intertwined with most of the major hockey events of the 20th century. His pioneering work on the radio and, later, television brought hockey to homes across North America. Hewitt’s insightful and enthusiastic play-by-play was one of the greatest promotional tools at the disposal of the NHL. The son of respected journalist William Hewitt, Foster was born in Toronto. While attending the University of Toronto, he was the intercollegiate boxing champion and passionate fan of hockey. After graduating, he pursued his career in sports broadcasting and went on to become internationally famous. His career began in the old Mutual Street Arena in Toronto on February 16, 1923 when he broadcast a game between the Toronto Argonauts and the Kitchener Greenshirts. Through the Depression and World War II the familiar voice of Hewitt linked Canada from coast-to-coast. When the Toronto Maple Leafs were born in 1927, Hewitt became their radio announcer. He later served as the master of ceremonies when Maple Leaf Gardens opened on November 12, 1931. His voice became as integral a part of Maple Leafs folklore as the “Kid Line,” Syl Apps, Turk Broda, and Teeder Kennedy. 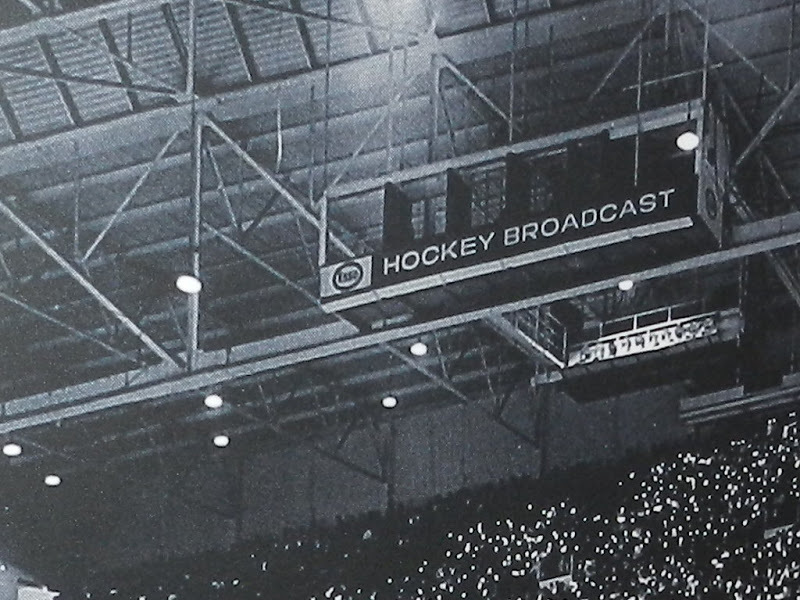 On November 1, 1952, Hewitt broadcast the first televised hockey game in Canada between the Canadiens and the Maple Leafs. For most fans this was their first look at the voice that had become such an important part of their lives. Five years later he turned the microphone over to his son Bill, while he picked the three stars and handled the post-game wrap up. Hewitt retired in 1963 to devote all of his time to his radio station CKFH in Toronto. In 1972 he came out of retirement at the encouragement of CTV’s Johnny Esaw to broadcast the historic Summit Series between Canada and the USSR. His description of the winning goal by Paul Henderson became as famous as the original “Hello Hockey Fans” introduction on the radio broadcasts in his heyday. Hewitt was elected to the Canada Sports Hall of Fame, and presented the Order of Canada. In addition to his place in the Hockey Hall of Fame, Hewitt was honoured when a media award in his name was introduced by the Hall to worthy broadcast recipients. He was himself inducted into the Hall in 1965. Happy you enjoyed it. Our most cherished memories a fading fast. If you have a favourite memory, personality, event, etc., feel free to pass it along.